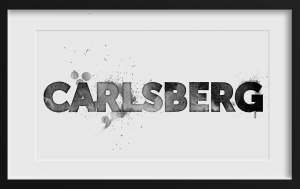 Carlsberg has been entered into the Forums’ hall of shame on the 11th November 2015 for a record third term after giving their suppliers just 14 days to adjust to new payment terms, which were the end of the month plus 93 days. The letter also indicates that regulation in the UK is largely impotent as Carlsberg respond that “parties are free under English law to agree to payment terms longer than 60 days”. Carlsberg was already in the hall of shame before they extended payment terms for some suppliers to 95 days in 2008. “The increasingly unsustainable payment terms being forced onto the supply chain are creating a situation beyond challenging. It is frustrating and disappointing to know that the consumer is protected from unfair practices brought about by the manufacturer but the supplier is not. The Late Payment Hall of Shame can is part of the Forum’s own campaign to tackle the culture of poor payment in the UK.